Home > Baby & Toddler > Toys & Gear > The Tot 10: Most popular products as chosen by you! We’ve tallied up the best-selling products on The Tot that consistently sell-out and have garnered somewhat of a cult following. Here are the Top 10 items that in-the-know shoppers (like yourself) love! Hover over each product for more details. Dockatot Deluxe: The DockATot Deluxe+ dock is the ultimate docking station for your baby ages 0-8 months old. Multi-functional and multitasking, the Deluxe+ offers a safe and comfy spot that lets baby rest, lounge, play, cuddle, do tummy time and get diaper changes. 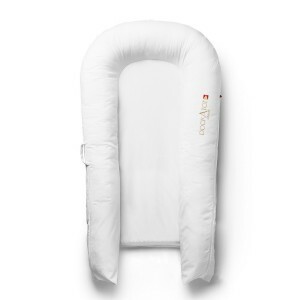 With a unique, non-heat harboring mattress that allows baby to breathe openly and unobstructed, the DockATot is a place where you can lay your baby down to sleep that’s free from harmful chemicals and substances. 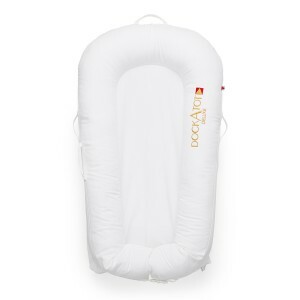 Dockatot Grand: The DockATot Grand Dock has been designed for babies ages 9 – 36 months and is perfect for cuddling, playing, lounging, resting and travel—either from room to room, to grandma’s house or on vacation. All materials used are breathable, washable and hypoallergenic. It’s also ideal for bed transitioning, thanks to built-in, air permeable bumpers that act as bed rails, allowing young children to settle more easily in a bigger bed. DockATot docks give little ones a snug sense of security in their newer, bigger beds. Mary Katrantzou Diaper-Travel Tote: As the winner of numerous British Fashion Awards and the Vogue Fashion Fund, Mary collaborated with The Tot founder Nasiba Adilova on a series of exclusive diaper bags for The Tot, illustrated with Mary’s signature whimsical, hyper-real prints. The calf leather piece has an extra wide zipper, waterproof lining and multiple compartments as well as a removable accessories pouch and changing pad affixed to the side. GB Pockit Stroller: The GB Pockit Stroller is the compact stroller of your dreams. When folded it is the smallest stroller currently available on the market at 12 x 7 x 14 inches to be precise. In only two steps the stroller becomes a compact and feather-light handbag shaped package (9.5 lb), which is great for when you want to keep sight seeing with the whole family. Oh, and it also fits in overhead carry-on! Doona Infant Car Seat: This genius stroller cleverly converts from a car seat to a stroller with the touch of a button. Unlike other car seat-stroller hybrids, this is an all-in-one product that doesn’t require any dismantling. With excellent safety measures and antibacterial, hypoallergenic materials, this is seriously nothing short of genius. Medela Freestyle Pump Set: Designed for mamas who pump several times a day, Medela’s Freestyle Set is a necessity on your baby registry. It lists 2-Phase Expression Technology among many innovative key features that help to keep any new mamas comfortable. Bugaboo Cameleon3: The 3rdgeneration Bugaboo Cameleon3 Classic is comfortable for a newborn up to a 3-year-old toddler, it’s easily adaptable in all weather-conditions for use in the city, the woods, sandy beaches, and even in the snow. With a convenient navigation system and all safety measures in place, this stylish and compact stroller is simply ideal – and gorgeous. The grey mélange tone is a perfect gender-neutral hue that will match any stylish mama’s outfits. Moba Moses Basket: During those early weeks, when all babies seem to do is eat and sleep, this Moses basket will come in handy for every new mama. Designed to be transported easily, it provides a safe, comfortable sleeping space for babies, and peace of mind for parents. Otteroo Baby Floatie: From 8 weeks old, Otteroo can give your baby the freedom of movement in water so they can discover how their arms, legs and body can move to impact their immediate surroundings and direction. The buoyancy and physical freedom that Otteroo provides promote movement coordination, muscle strength and mobility. Bumbleride Indie Twin Stroller: The Bumbleride Indie Twin is a versatile all terrain double stroller designed to provide a smooth one hand push and offers quick access to both kids. 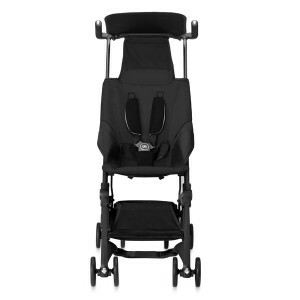 The fully adjustable backrests, footrests and handle create a customized fit for you and your little ones. We just LOVE that the Eco fabric is made from 100% recycled plastic (rPET) and innovative dye process (Oeko-Tex and bluesign certified).